The San Francisco Giants had a rough season. Even though they brought back a very similar roster to the one that won the World Series last year, they failed to replicate another winning, successful season. There are several reasons why the Giants had such a poor season. First of all, they were inconsistent. The starting pitching started off horribly, so the offense had to carry the team. Then, Angel Pagan went down with his hamstring injury, so the offense started struggling. By the time the team started playing good, all-around baseball again, it was too late. The Dodgers were winning so many games that they were almost unstoppable, and the Giants had dug themselves into too large of a hole in the standings. Another reason why the Giants failed to make the playoffs was injuries. As mentioned before, Pagan’s injury significantly affected the Giants’ chances. Although Gregor Blanco had a couple solid months earlier in the season, he wasn’t able to make the impact the Giants needed at the leadoff spot. Neither did Andres Torres. Neither of these players were expected to either, given the fact that they came into the season forming a left-field platoon. Ryan Vogelsong was also out for a significant amount of time with a broken hand. Vogelsong struggled to start out the season. He was starting to re-gain his form in a start against the Nationals on May 20th, and then he dislocated a joint in his pinky on his pitching hand when he was hit by a pitch. Marco Scutaro has also dealt with a couple injuries throughout the season. He sustained tendon damage to his left pinkie finger on June 11th, and he has also dealt with a sore back and hip all season. Brandon Crawford, Buster Posey, and Pablo Sandoval have dealt with injuries too. After making deep postseason runs in two of the past three seasons, it make sense why the Giants had so many injuries. Overly fatigued bodies are more susceptible to injury, so this must have been the reason why this Giants team had unfortunate luck in terms of injuries. In fact, Bruce Bochy pointed out that almost all of the Giants players who participated in the World Baseball Classic were injured at some point this season. Injuries weren’t the only reason why the Giants struggled this season though. They lacked clutch hitting at times, they struggled on defense, and they had very little production from the leadoff spot. However, many of these things come back to the Giants’ team chemistry. They have some of the best team chemistry in all of MLB. This was evident when they won the World Series last season. When one person is doing well, many other players do well too. They feed off of each other’s energy, and they truly play for each other. Unfortunately, the opposite is true too. When one player is slumping, whether it be on offense or on defense, other players end up struggling too. When the whole team is slumping, they start pressing. Each player wants to become the player who will break the team out of their slump. Then they put too much pressure on themselves, and their game starts to suffer even more. It becomes a vicious cycle, and it happened this season for the Giants. Their clutch hitting, defense, and consistency suffered because of this. 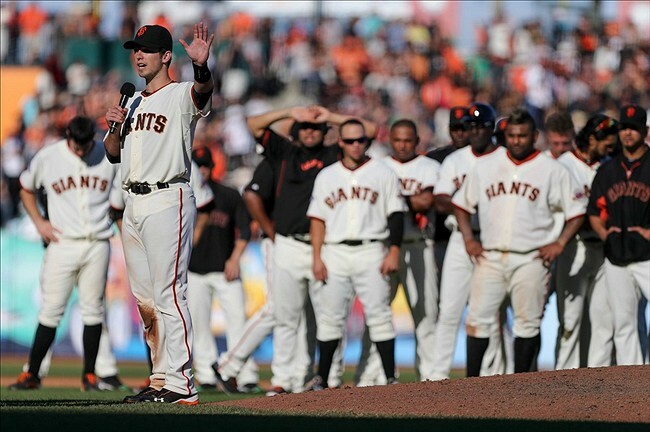 The San Francisco Giants finished the 2013 season with a record of 76-86. They tied for third place in the NL West, and they failed to make the playoffs after winning two World Series titles in the past three seasons. Although this sounds like a disappointing season, the Giants actually finished off the season on a great note. The Giants won 10 of their last 15 games, and since August 24th, they went 20-14 to end the season. The Giants had essentially been out of the playoff hunt since July or August, so this run doesn’t technically mean anything in terms of standings. However, this run is definitely significant. The Giants will now have a longer offseason than they’re used to, which will give the whole team some much needed rest going into next season. Even though they’re facing a longer offseason, they will be able to carry some of the momentum they had during that run into next season. This is significant, because the Giants can go into the 2014 season with some confidence, instead of going into next season disappointed with the results of the 2013 season. After witnessing the Giants impressive run the end the season, it’s hard not to think about what could have been. 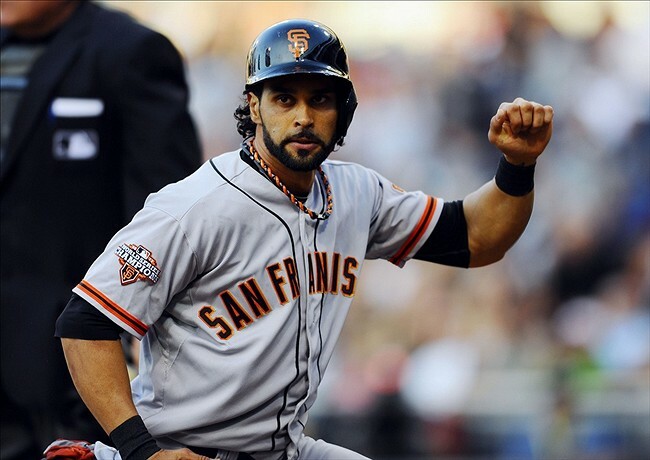 How much did the Giants really miss Pagan? How much did Pagan’s absence really affect the Giants? On the field, Pagan provides speed on the basepaths, he’s an effective leadoff hitter, he finds ways to get on base, he has some power, he’s an excellent hitter at AT&T Park, and he’s pretty good defensively. The Giants lacked some depth in the outfield this season, and they clearly missed his presence at the leadoff spot. 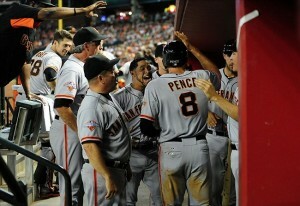 Off the field, Pagan is not just their leadoff hitter, but he is their sparkplug. He is the energy and the passion of this team. He could’ve potentially re-fueled the Giants on and off the field when they were collectively slumping. Pagan injured himself after his inside-the-park home run on May 25th. The Giants truly started struggling in June and July, and they couldn’t recover from that. The Giants couldn’t have stopped the Dodgers’ incredible run, but it would’ve been interesting to see what the Giants could’ve accomplished if Pagan hadn’t gotten injured. There’s always next year for the Giants. In fact, they like winning championships in even-numbered years. Maybe 2014 is their year to get back to their winning ways.